Yep.... sounds about right. I have one night stand, too. That's too bad, Paula. 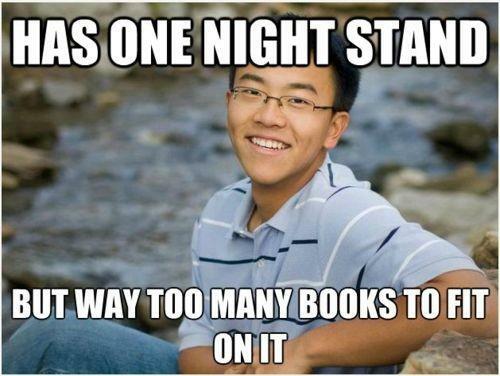 I think most people have 2 night stands. Ha! I must get one! LOL! Don't you hate when that happens? Nice one, Dufus! Glad you like it, Meleah. Speaks "volumes, eh? Oh, I traipse across the interwebs every week just for you, Nicky.